The Ultimate Workout Alumni group was created to facilitate communication between current, past, future, and staff participants of the mission trip. 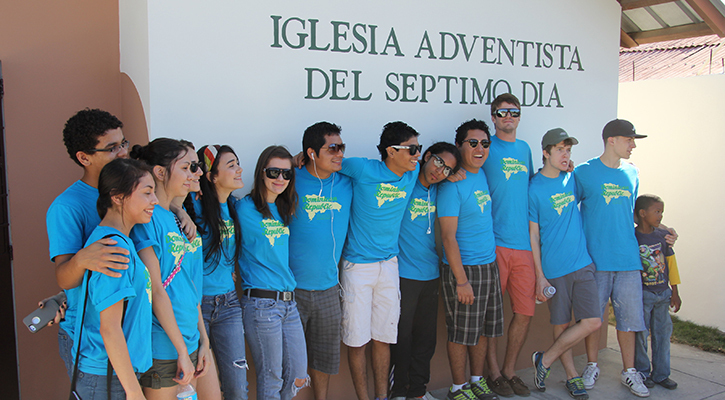 In addition to a Facebook page for alumni, Maranatha also organizes an Ultimate Workout Alumni mission trip. Sometimes these trips return to past Ultimate Workout locations for renovations on buildings that were constructed by previous UW volunteers. The Ultimate Workout Alumni group also encourages volunteers to give back to the program! Each year, the cost of Ultimate Workout rises, and Maranatha must fundraise for the project. We ask alumni to make donations to the Ultimate Workout Alumni Fund to help offset costs for the volunteers and to make this project a reality. All donations to Maranatha are tax-deductible. The annual project is geared towards but is not limited to volunteers who have a previous connection with the Ultimate Workout through personal experience or through the experience of a friend or loved one. There will be special times to reflect on UW memories and experiences as well as share how the Ultimate Workout impacted their lives. This project is open to all those who have a heart for service and are willing to share in these memories.